Today was great! After my morning office routine, we headed over to the home of the African musicians we had played a few gigs with. They actually invited us over for a late lunch, but it turned into a lunch and a jam session all in the same. The fellowship and the music made for a really great time! 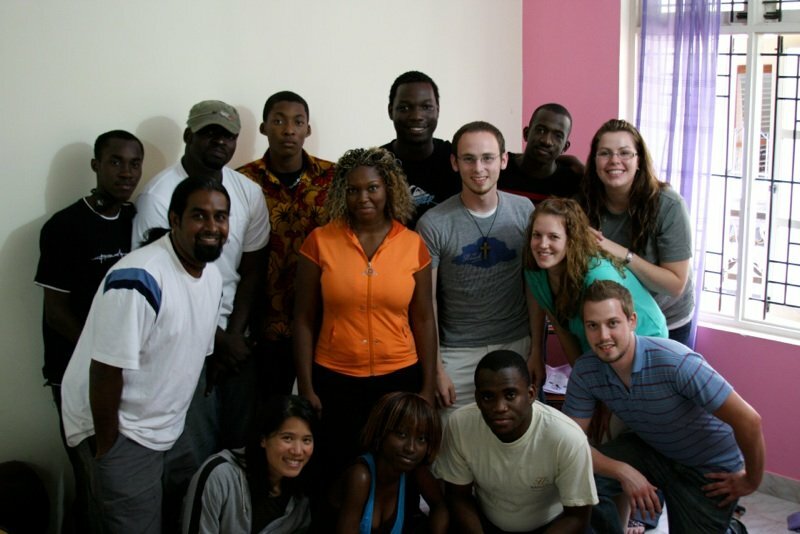 All of them are finishing up their engineering degrees and then preparing to head back to the Ivory Coast. They really were some of the nicest folks I’ve ever met. Though there was a little bit of language barrier since English is their second language and none of we are very good with French, we were all able to sing together without any issue. By the way, the food was great… Especially the fried bananas!!! At around 6 pm, we headed over to the Methodist Church as Ted was facilitating a Worship Music workshop and the band was to do a short set. Ted’s talk was awesome!!!! As the talk was on “worship”, Ted spoke about how “worship” isn’t something you do only on Sunday morning, but something you should be doing incessantly throughout every hour of every day in everything you do! I think his talk was a good wake up call to “get out of your comfort zone”.